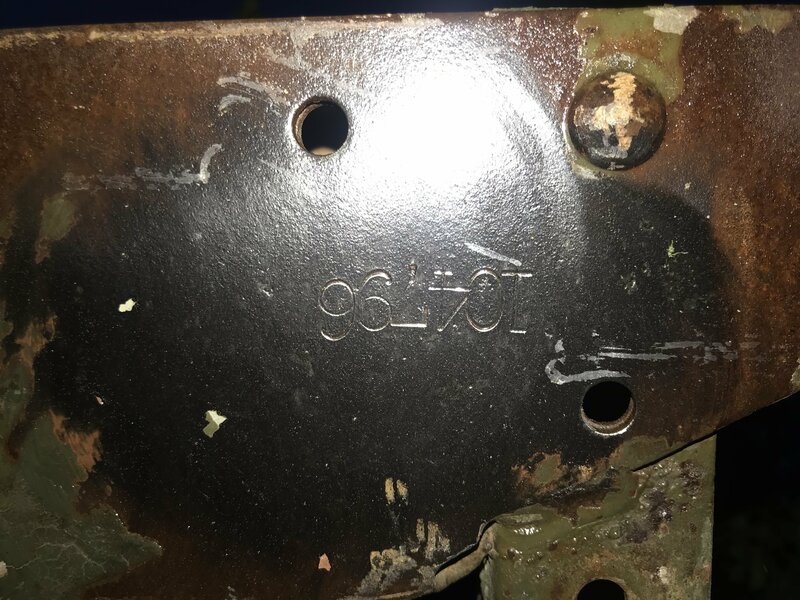 I found this number on Bantam or MBT drawbar (i dont know), is it interesting for you? Last edited by Greg hanson on Mon Apr 01, 2019 11:47 am, edited 2 times in total. slowness equal accuracy, accurary equal speed !!!!!! I have had this trailer for years and was going to restore it but I am running out of time. I also don't have a WW2 Jeep to tow it so I have decided to sell it to someone who can restore it and treat it with the respect it deserves. For more information look for posts under JimT. Price is undetermined as of yet. I'm not going to give it away but I'm also not unreasonable and will listen to offers. Your plans for the trailer may influence my price. Contact me if you are interested. I checked the ACM number you provided against the USA number you posted and they certainly DO line up where they should if they were original to one another. If I add in the "5774" as the serial number it makes even MORE sense. I don't know how you got the complete USA off the rear of the trailer but it fits nice! 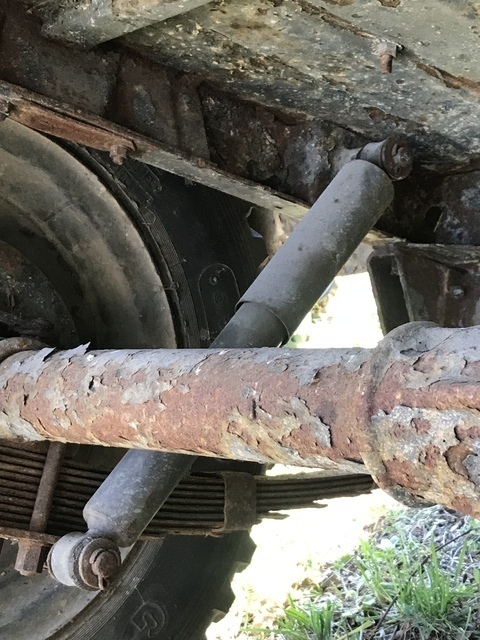 I would suggest you have a very original Bantam trailer that a WWII jeeper would love to have. If you aren't interested in restoring it to it's former glory, I think you would have several guys who would live to have it behind their jeep! You would need period correct reflectors and inserts and correct taillight buckets, a wiring harness and a BO Light switch. Add a landing leg bracket and landing leg and get the handbrake and cable working and add that thin lunette, find some combat rims/tires and you have a winner there! Of course a complete teardown, blasting, priming and painting will complete the resto. Heck, the chains look to be original, you have the handbrake, taillight brackets and unless the floor is like Swiss Cheese,,,,that's going to be one fine trailer. Check the web for Robert de Ruyter in the Netherlands for the best data plates on the planet. try "dataplates4u". 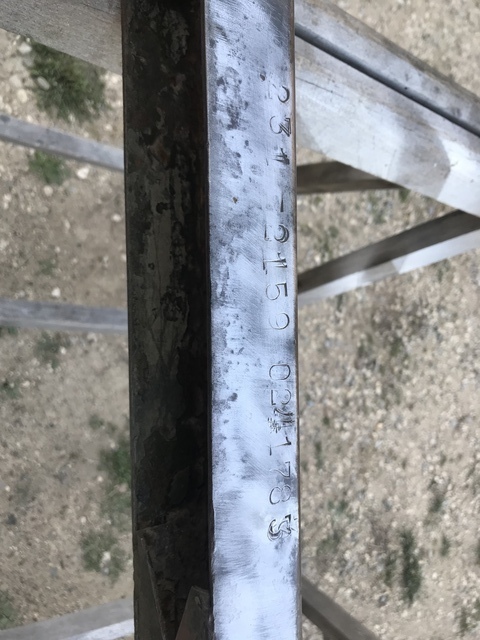 Just give him the serial number and DOD and he will know which plate to use and...he can stamp it with the correct fonts and spacing on the fields for you. Remember the heads of the rivets go inside the tub! I have a new data plate from Robert de Ruyter. I’ve picked up a 1/4 ton trailer here in UK this weekend and I need your help please. It’s Ex-French army, (was US war surplus) and needs some TLC having been used as a camping trailer. I think it’s a late war MBT - but I’d appreciate your wisdom. 1. No data plate. 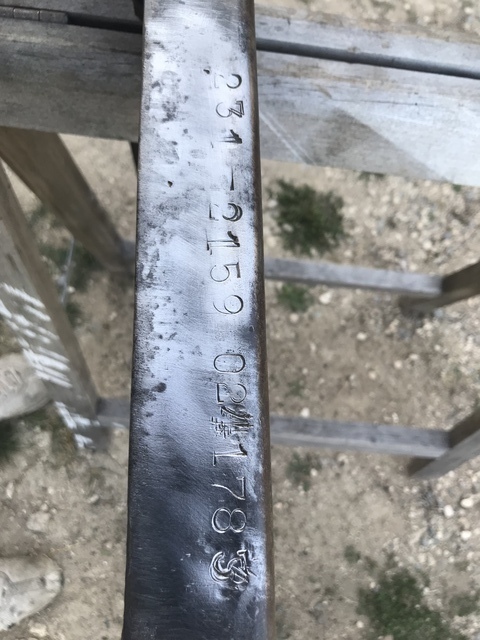 Re-build plate but not much info. Hole pattern 3 3/4” x 2 7/8” in upper left corner of front panel. 2. Many layers of paint but not yet sanded. Original OD on drawbar so there’s a chance. 3. #113038 under left front spring hanger. 4. Upper shock mount bolted on and threaded shock pin. Lower plate cotter pin type. 5. Axle is single continuous tube. 6. 8 leaf, MB style clips fastened on bottom - identical to my’44 MB. 7. 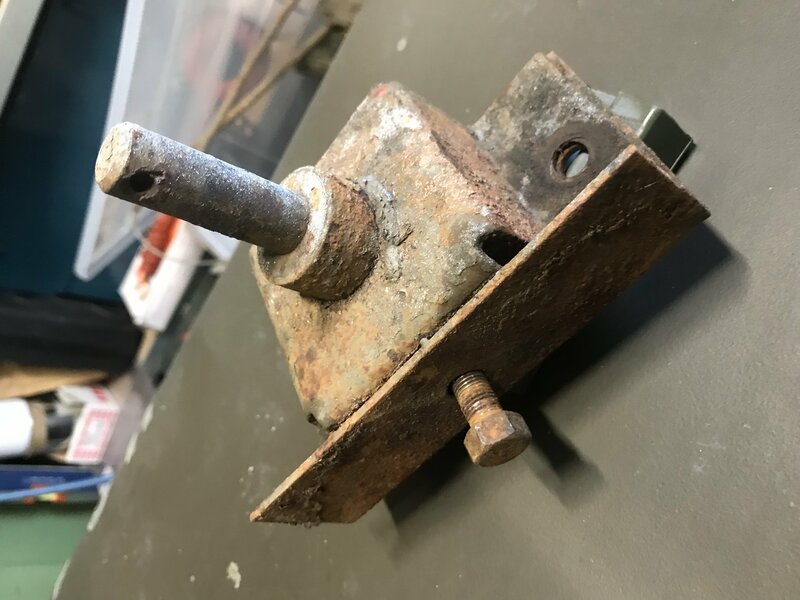 Removed by french army but holes for brackets and wiring in side runners. 10. 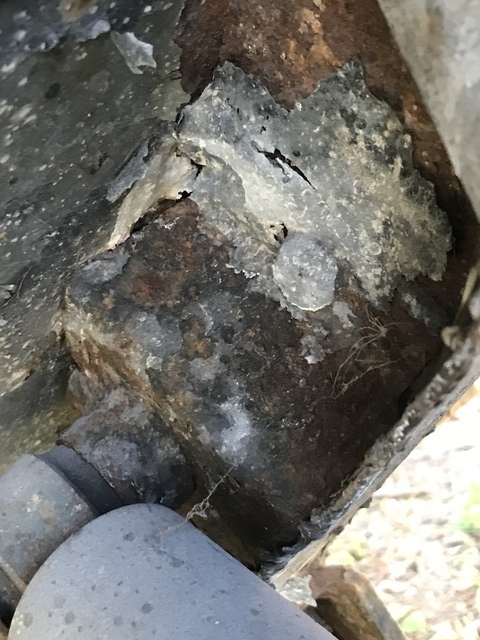 Bolts removed to check (3) still had PAL nuts - appear un-disturbed and were “C” or “EC” marked. 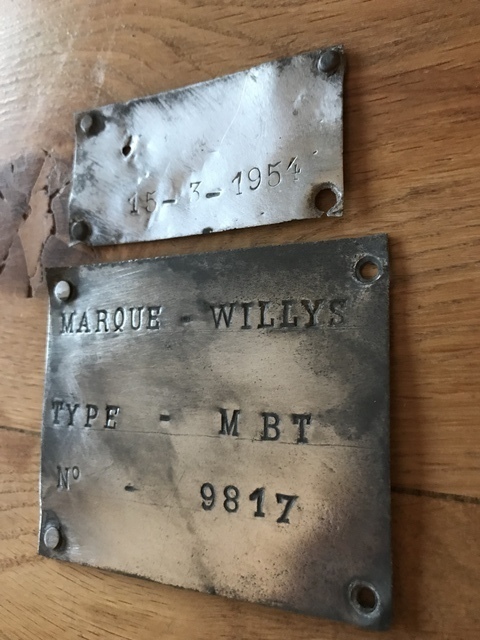 Any info to help with stencils or replacement data plate gratefully received. Greg....send me all the answers to the "How To Identify..." on that trailer with the stampings on the drawbar. The number "0241783" would fall into a range of Sept. 1943 MBTs. Please check the axle again to be sure that it is SMOOTH or if, in fact, it has a welded seam in the middle. You would have to clean it up to find that out for sure. Also, can I get your name and city you live in for my records please? After some serious use of 400 grade wet & dry, and 4 thick coats of paint to get through, I’ve uncovered 0845xxx as a Serial number. This checks out in the table on Page 370 of “Jeep” by Becker & Dentzer - but differs a lot from your number. My data base is based on reported trailers information. 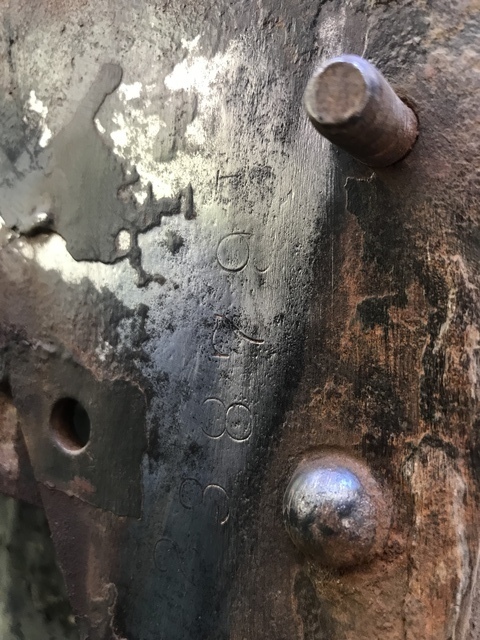 A trailer with an ACM number of "113xxx" would be an April 1944 range. 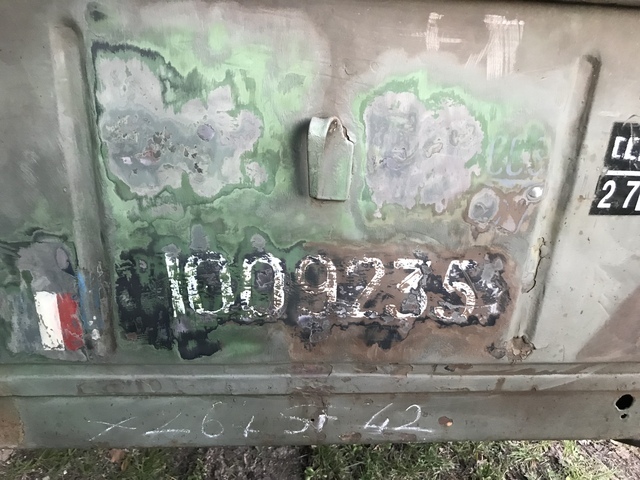 A trailer with a USA Number in the "0845xxx" range would be in the April 1945 range. In other words, they don't jibe. Since you have only the "original" ACM number to go by, then it is an April 1944 production as I have given you. A repainted USA Number is not too hard to do. Re-stamping the ACM number on the tub gusset is. Which do you want to believe has more chance of being "original"? I need some help for dating it. 1) Data Plate: Present but no original. 2) USA Number: on pics but i dont think that is a USA number, let me know. 3) ACM Number: American Central MFG. 4) Upper Shock Mount: it cotter-pin type and it RIVETED to the frame. the LOWER shock mount have a cotter-pin. Taillight Mounts: Standard "L" brackets bolted to the tub but some trace of welded on. I Forget to ask you for an other frame only with ACM 104796. Upper mount bolted to the frame with Cotter pin maybe an one more MBT By Willys. Greg.....man, you have more luck with trailer searches than anyone I know of! 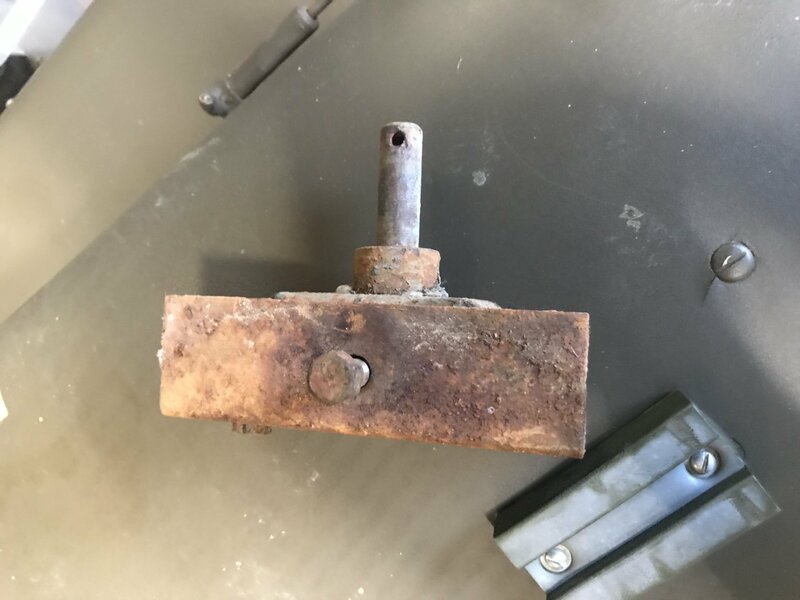 ACM 1047976 could be about a Feb 1944 MBT or Bantam...remember that often the upper shock mounts that were THREADED were DRILLED I the post war era for cotter pins so you actually have to remove the shock to see if there are any threads . The upper mount are not drilled. I will send you tonight if i can because i dissasemble a Sherman motor. HI Chuck here is pics.